The Clinical Phenotyping Centre (CPC) aims to provide doctors with better information at each stage of a patient's treatment, helping them diagnose illness more efficiently and choose the best treatments based on a patient’s individual metabolic and physiological characteristics. It brings together state-of-the-art metabolic phenotyping capabilities and the integration and correlation of the data with other data sets on the same samples. The facility includes cutting-edge Nuclear Magnetic Resonance (NMR) and Mass Spectrometry (MS) infrastructure, as well as core analytical and project management staff. 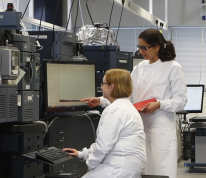 The CPC is a core facility of the NIHR Imperial Biomedical Research Centre's (BRC) Institute of Translational Medicine and Therapeutics (ITMAT) funding scheme. It links closely with the MRC-NIHR National Phenome Centre (NPC) and with Computational and Systems Medicine (CSM) within the Department of Surgery and Cancer. Professor Jeremy Nicholson, Head of the Department of Surgery and Cancer, is the Director of the Centre and leads the BRC Molecular Phenomics cross-cutting theme for screening and monitoring patients in the surgical and hospital medical environments using multiple spectroscopic platforms to enhance clinical decision making. 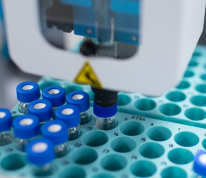 The CPC brings together a unique collection of state-of-the-art technologies for rapid molecular analysis to the hospital setting, aiming to put them at the heart of clinical decision-making. How do I request access to the Centre? Access to the CPC is via application to the Project Manager, following approval by the Director. The NPC delivers broad access to a world-class capability in metabolic phenotyping. Hands-on metabonomics training courses delivered in a state-of-the-art facility. Whether you have questions about metabolic phenotyping, the type of samples we analyse and the assays available, or you need a quote for a grant application, please contact us!